The Challenge: To create a simple, professional website for a composer and band teacher. The Solution: Jim wanted to keep the black layout of his previous site, but to refresh the design with a more modern look that would be easy to update himself. I created this drop-dead-simple layout using a nice modern font from Google and some olive and burnt orange accents. 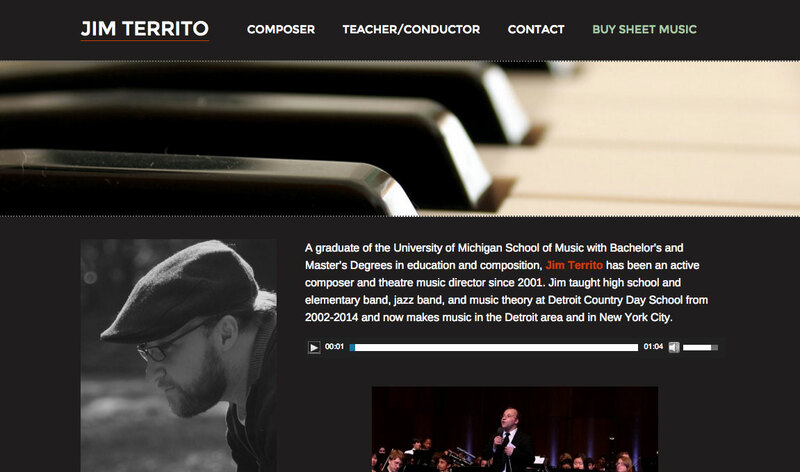 We also created a store connected up to Paypal so Jim could sell his sheet music on the site.